eBridge Connections enables you to seamlessly integrate your 3dcart store with an accounting system or ERP. eBridge Connections enables you to seamlessly integrate your 3dcart store with an accounting system or ERP. Automatically move sales orders down to your accounting package and bring product data, inventory data and shipment updates up from your ERP. Over 30 accounting systems are supported, including Microsoft Dynamics (GP, NAV, SL, AX & RMS), NetSuite, Sage 100, 300 & 500 ERP, Peachtree, QuickBooks, Sage 50 (US & Canadian Editions) and SAP Business One. For more information, visit the eBridge Connections website and build your integration blueprint. Stay away at all costs! This company took over $6000 from me to integrate their system and it never fully worked. I am out all of the money. Webgility ECC is MUCH better and is not expensive at all. 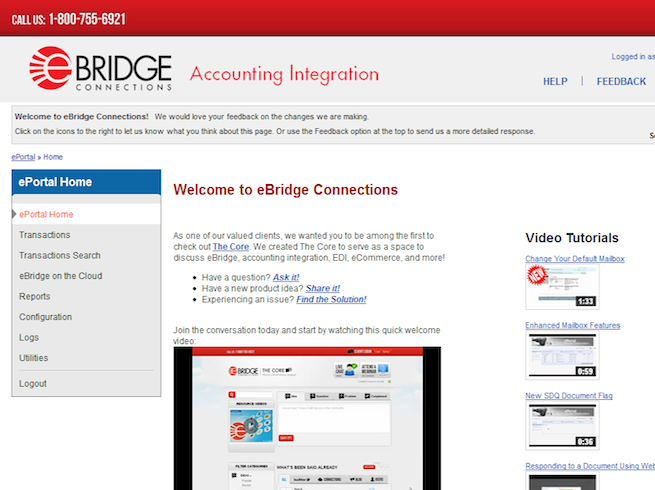 I paid almost $10,000 to have Ebridge integrate my site with my accounting program. Not once did it work. After a year and a half I kicked them to the curd and found a much better solution. They refused to give any type of a refund at all. They are thieves, run away. Q: Will this work for transferring to QB Desktop Enterprise Solutions? We simply need a better way to track the A/R payments from our 3rd parties. FreshBooks mobile apps give small business owners with iPhones and iPads a way to manage their accounting needs when they'e on-the-go.